Condition Evaluation of 103 Bridge Decks in Ohio - Infrasense Inc.
Infrasense has conducted Ground Penetrating Radar (GPR) surveys on 103 bridge decks (over 800,000 square feet of bridge deck) in Ohio’s District 1 using a dual 1-GHz horn antenna GPR system. The work has been carried out under 2 contracts, the first completed in 2008 and a second currently ongoing. All surveys have been carried out at normal driving speed without closures or the need for traffic control. A visual inspection of the underside was carried out on each deck, including photographs and field sketches. A report for each bridge was provided to the Ohio DOT, including maps of condition, contour plots of asphalt thickness (when applicable) and contour plots of concrete cover over the top reinforcement. The reports also included documentation of surface and underside conditions. ODOT’s consultant evaluation for Infrasense on the first of these two contracts was 8.6 out of a possible 10, with the highest ratings given to Infrasense’s coordination and responsiveness. 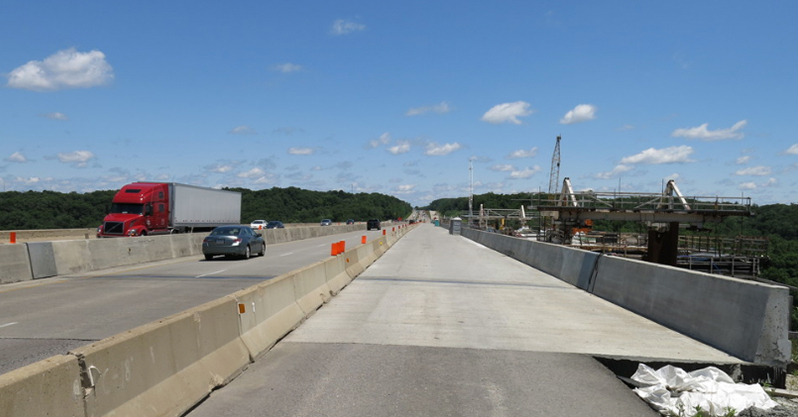 Infrasense has also performed nondestructive evaluations in other Ohio districts, most recently a bridge deck condition evaluation of the newly-constructed northbound deck of the Jeremiah Morrow Bridge. The condition evaluation was performed using high-speed Infrared Thermography and high-resolution video mapping in order to provide quality assurance and establish a baseline record of the as-built conditions. Staging area, scanned with IR, on the Jeremiah Morrow Bridge in Ohio. 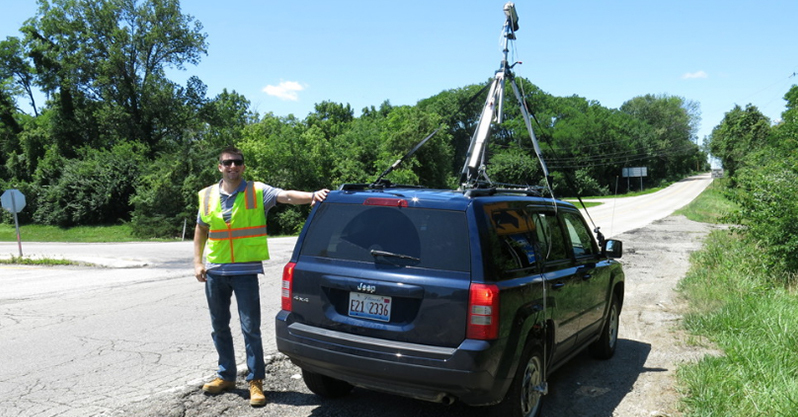 An Infrasense engineer with the high-speed Infrared Thermography setup in Ohio. 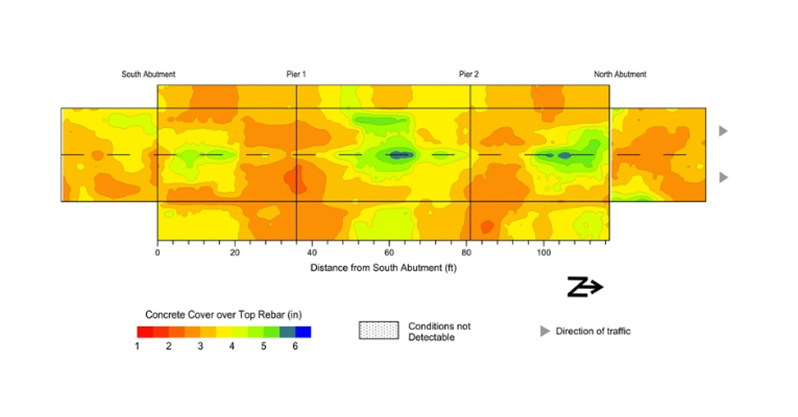 Sample concrete cover contour map for part of a network-level bridge deck evaluation in Ohio.